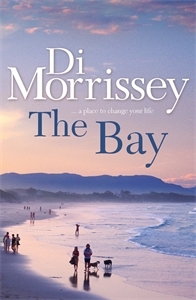 The Bay is a beautiful and peaceful town on the Australian east coast, a melting pot of city escapees, alternative life-stylers, feral dropouts, lost kids, backpackers, and men and women in search of love and a new sense of identity. When Sydney corporate wife Holly Jamieson turns 40, she shocks her husband by buying an old house in The Bay and transforming it into a charming B&B. What began as a gesture of independence changes her life. Holly soon discovers that beneath its tranquil surface, The Bay is a whirlpool of passions and conflicts. Once a whaling town, then a sleepy resort that became trendy... and now developers are moving in for the kill. Holly, her family, and an unusual band of new friends are in the battle lines. It's a story of contemporary issues, but the ghosts of the past haven't left town. The Bay is a place to change your life.